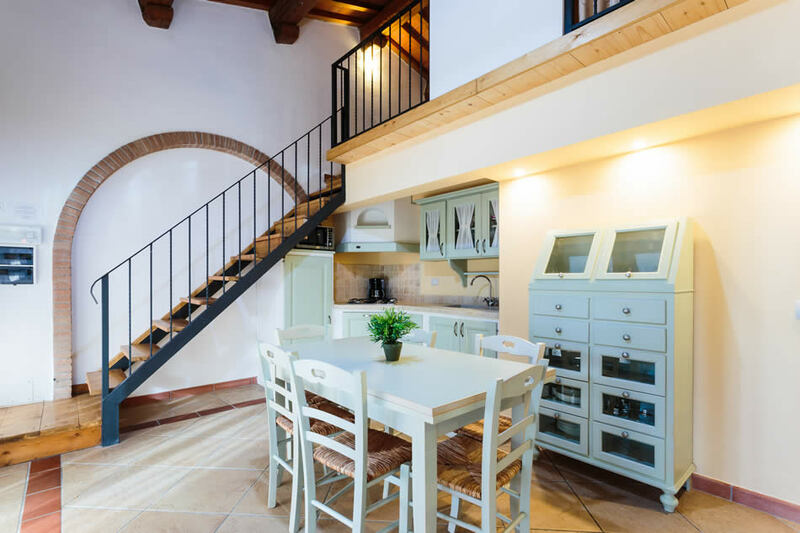 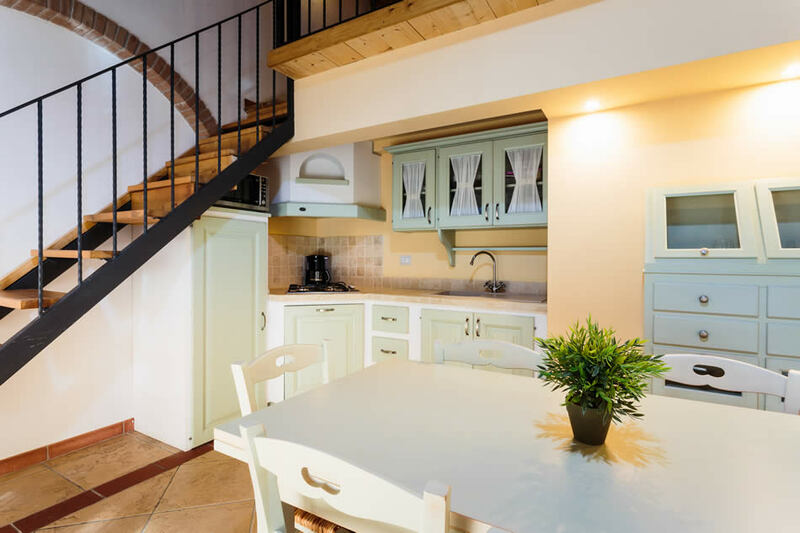 Two-room holiday apartment Gufo is 60 sqm winde and designed to host 4 beds+ 2 on a mezzanine level. 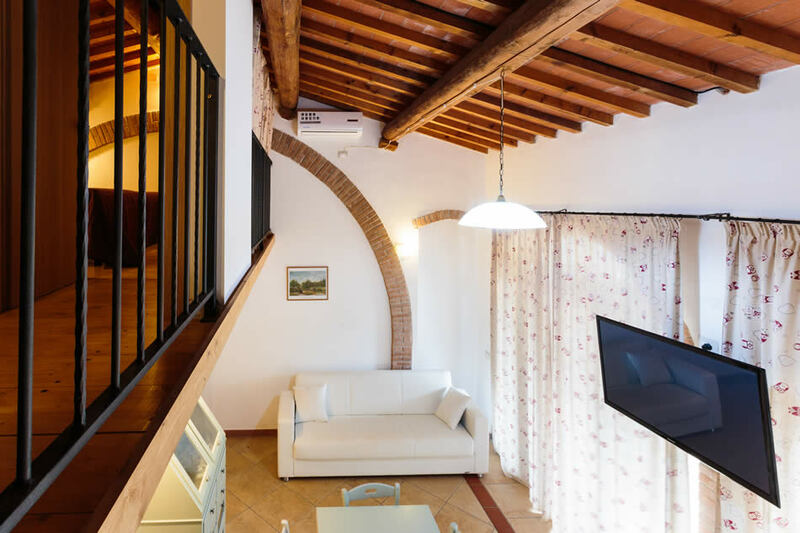 At our agritourism of Riparbella, Tuscany, you will find a living room with kitchenette (featuring tv and microwave), a bathroom with shower and a room with a 180 cm single bed and a master one on the top floor. 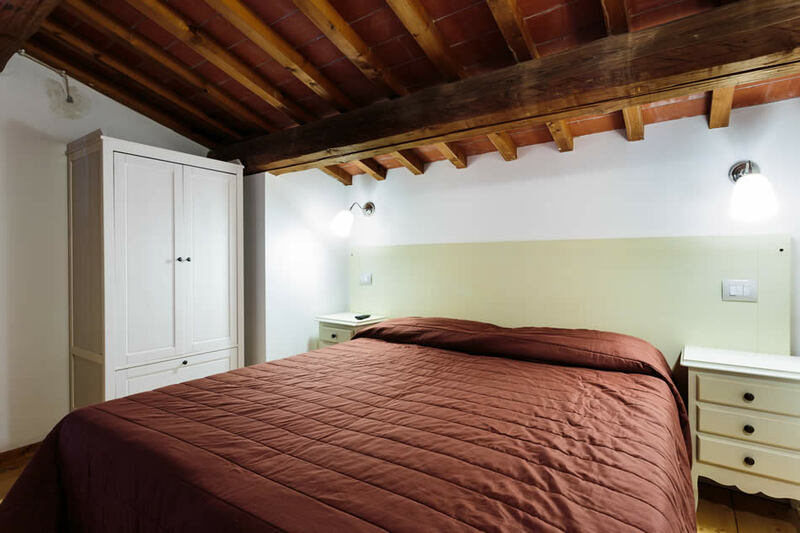 On the mezzanine level is a second master bed and a single sofa bed placed in a separate section. 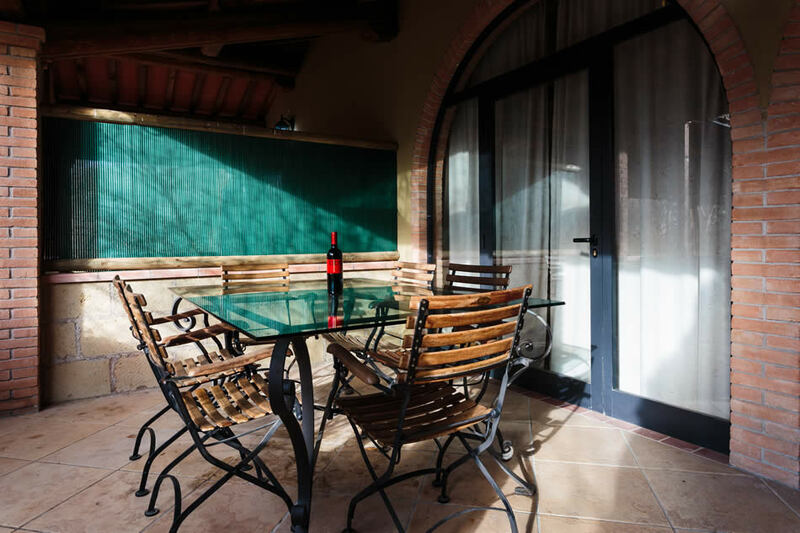 Outside are a table, chairs and a private bbq.